The last time America had a capability to launch humans into space from US soil was back when the space shuttle – more formally the Space Transportation System – was still flying. However, the last shuttle flight was concluded on July 21st, 2011, when the shuttle Atlantis, with a career spanning 25 years and 33 flights into space that clocked-up 306 days, 14 hours, 12 minutes, 43 seconds in orbit, touched down at the shuttle Landing Facility at Kennedy Space Centre, Florida. At that time, it was expected there would be just a four-year pause between the end of STS-135, the 135th shuttle flight, and the inception of a new generation of human-rated launch systems: the Boeing CST-100 Starliner, the SpaceX Crew Dragon and NASA’s own Orion system. However, development of these vehicles has been such that almost double that amount of time has passed. But on Saturday, March 2nd, 2019, the United States did take a major step in it trek to resume a home-grown capability to launch people into space, with the successful first orbital launch of Crew Dragon. Crew Dragon is a human-rated, reusable capsule system developed from the highly successful SpaceX Dragon cargo capsule currently used to fly supplies and equipment to and from the International Space Station (ISS). 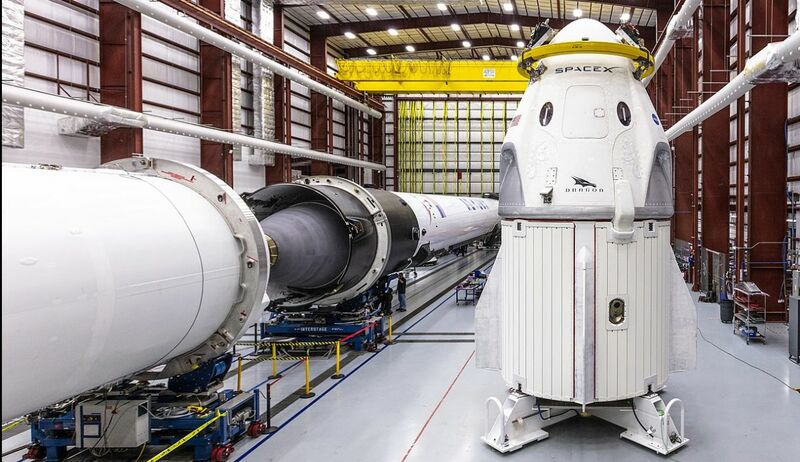 Officially designated Crew Dragon 2, it is designed to launch atop the Falcon 9 Block 5 launcher, and will operate alongside the Cargo Dragon 2, as the backbone of SpaceX’s involvement in ISS support activities. In addition, there are plans in hand to use Crew Dragon in commercial flights to the planned Bigelow Commercial Space Station, should that come to pass. Once operational. it will be capable of flying up to seven crew into space, although for ISS flights, Crew Dragon will likely fly with a maximum of four crew, as NASA would like to use the added payload mass and volume ability to carry pressurised cargo to / from the ISS. Also, NASA initially do not want to use the Crew Dragon’s Super Draco motors for anything else but a propulsive assist right before final touchdown, otherwise relying on parachutes for the majority of the descent post-mission, limiting the all-up mass the capsule can bring back. For the first orbital flight of the system – referred to as demonstration flight 1 (DM1), the Dragon 2 launched without a human crew – although it does carry an instrumented mannequin named “Ripley” after the iconic character played by Sigourney Weaver in the Alien(s) film franchise. Also on board is a small payload from NASA which the vehicle will deliver to the ISS, and a “high-tech” zero-gee indicator intended to show people watching the launch live stream the moment the vehicle achieved orbit. 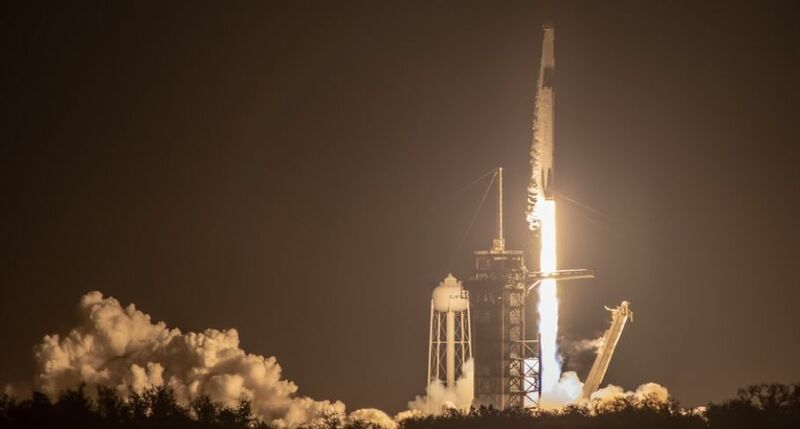 Lift-off occurred precisely on time at 07:29 GMT – there was no extended window, so a failure to meet the launch time would have seen the flight postponed until March 5th, 2019. The first stage carried the vehicle through the denser part of the atmosphere, rapidly accelerating it. Just over 2 minutes following launch, the nine first stage Merlin engines shut down, allowing the stage to separate. This continued to cost upwards as the single, vacuum-adjusted Merlin on the second stage fired, pushing it and the attached Crew Dragon on up towards orbit. Reaching the termination point of its flight, the Falcon’s first stage carried out a series of manoeuvres that allowed it to re-ignite three of its motors in what is referred to as the “burn back” manoeuvres, designed to orient the stage for re-entry into the denser part of the atmosphere and cushion it through that re-entry phase. These manoeuvres are a common part of Falcon 9 flights when the first stage is to be recovered post-flight. Such was the case here when, some 10 minutes after launch, the first stage made a successful landing on the SpaceX Autonomous Drone Landing Ship Of Course I Still Love You. Minutes later, the motor on the Falcon’s upper stage shut down, and the Crew Dragon separated from the stage. 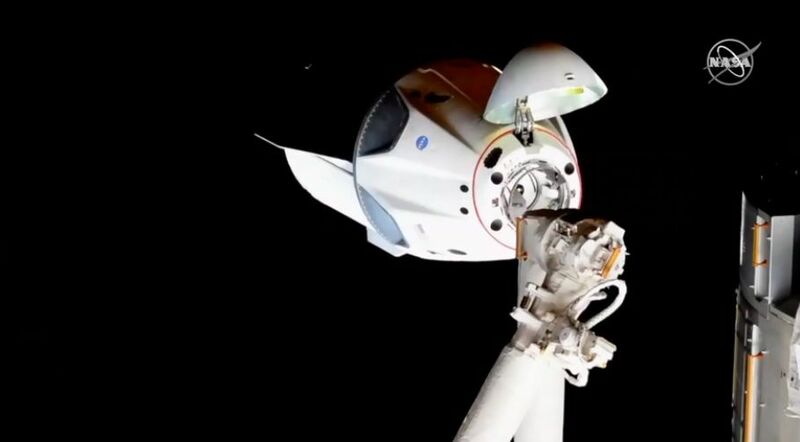 Once in orbit, the Crew Dragon tested its Draco thrusters and opened its nose cone to reveal the forward docking port as it commenced a gentle “chase” to catch the ISS, gradually raising its altitude in the process. Docking with the station began at 10:51 GMT on Sunday, March 3rd, more than 400 km (248 mi) above the Earth’s surface north of New Zealand, 27 hours after launch. The spacecraft made an initial “soft capture” with the docking port on the station’s Harmony module, the docking mechanisms then pulled Dragon into a firm “hard capture” with the station about 10 minutes later. The Crew Dragon approaches the International Docking Adapter on one of the airlocks at the Harmony module of the ISS, March 3rd, 2019. Note the open nose cone and exposed docking port Credit: NASA. Prior to docking the Crew Dragon closed to a distance of 150m from the station before halting its forward motion and then backing away again to 180m, testing its ability to move away from the station in the event of a problem. Once docked, a further series of checks were performed to “safe” the vehicle, prior to the hatches between it and the ISS being opened at 13:30 GMT. As a further precaution, Russian cosmonaut Oleg Kononenko and Canadian David Saint-Jacques wore gas masks to guard against any internal leaks of gas in the capsule when they first entered. After they had carried out atmospheric readings, NASA astronaut Anne McClain joined Saint-Jacques in starting to unload more than 180 kg of cargo included in the flight. The Dragon will remain docked with the ISS through until Friday, March 8th, after which it will depart for a return to Earth, bringing a small amount of cargo with it. The capsule should splash down in the Atlantic Ocean at around 13:45 GMT that day, after a parachute descent through the atmosphere. If all goes according to plan, the capsule used in this test (C201), will make a second uncrewed flight in June 2019, when it will be used to conduct an in-flight abort test, using its Draco motors to push it free of its Falcon 9 launcher to simulate what would happen in the event of a real booster malfunction. Following that flight, and assuming there are no further issues, the second demonstration flight (DM2) should take place in July 2019, when NASA astronauts Bob Behnken and Doug Hurley, both veterans of the space shuttle, will fly to the ISS aboard Crew Dragon C203, where they will remain for 2 weeks before making a return to Earth. Assuming that flight (Demonstration Mission 2) is successful, Crew Dragon should then be cleared to start flying crews to and from the ISS at the end of 2019. NASA’s InSight lander has started drilling into the surface of Mars using its self-propelled “mole”. 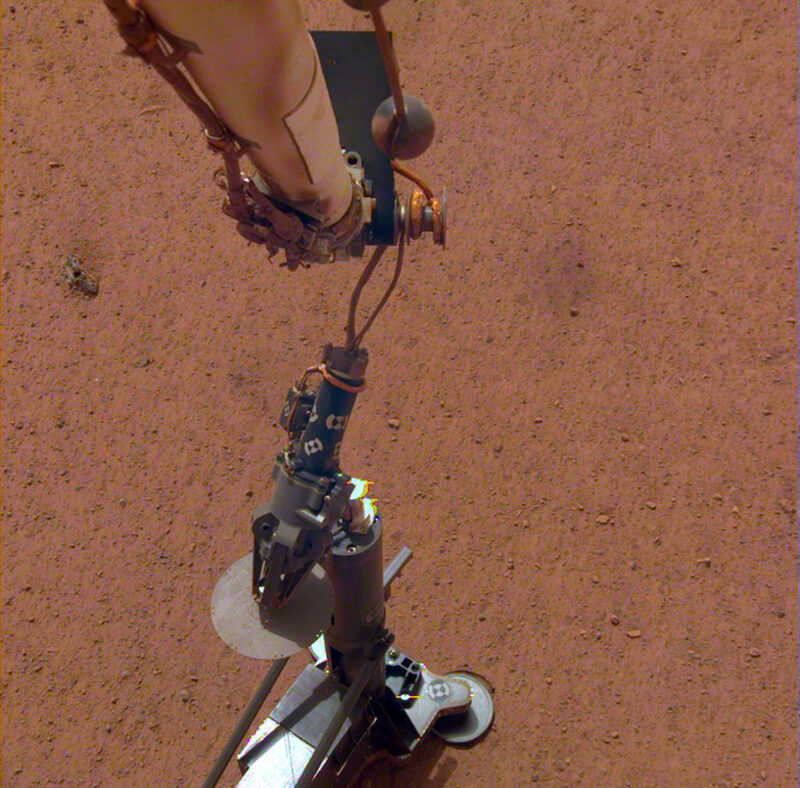 This is one of two surface experiments making up the lander’s science package (for more on InSight’s arrival on Mars, see Space Sunday: InSight, MarCO and privately to the Moon), it was deployed from the deck of the lander on February 12th, InSight using its robot arm to position the instrument approximately a metre away from the seismometer deployed in January. Officially referred to as the Heat Flow and Physical Properties Package (HP3), the unit comes in two parts the surface package, resembling a car jack with a large vertical tube at the front, and the cylindrical, 40 cm (16 in) long mole itself, initially housed within the tube. The mole is a device designed to burrow up to 3m ((10 ft) into the Martian surface, trailing a tether behind it. Both the tether and the mole feature heat sensors to measure the temperature of the Martian subsurface as the mole burrows, while the sensors in the mole will additionally measure the soil’s thermal conductivity – how easily heat moves through the subsurface. Drilling operations commenced on February 28th, and over a four-hour period, the mole hammered its way between 18 and 50 cm (7 and 20 inches) into the subsurface regolith. It did so fully self-propelled: inside the cylinder of the mole – called penetrometer – and an electric motor and rotating worm gear. These repeatedly stretch a main spring, which when released, produces a hammer blow to propel the mole forward, a second spring absorbing the recoil. The HP3 surface unit is connected to the lander via a second tether, which relays electrical power to the unit and receives the data recorded by it and the sensors. Measurements will be taken every 50 cm (20 in) of the mole’s decent. However, because frictional heat is generated during the “drilling” process, the mole will be allowed to cool over 2 days following each drilling session, then heaters in the cylinder will warm it to about 10oC (50oF) over a period of time of up to 24 hours. This heating will be measured by the sensors inside the mole, and how rapidly the measured temperature reaches that 10oC will inform on the surrounding soil’s conductivity. Our probe is designed to measure heat coming from the inside of Mars. That’s why we want to get it below ground. Temperature changes on the surface, both from the seasons and the day-night cycle, could add ‘noise’ to our data, confusing results. The surface of Mars is rife with features that provide a compelling case for large amounts of water once existed on the planet; as flow channels and valleys, outflow plains and deltas, and so on. As the planet lost its atmosphere, some of that water may have been lost to space, but much of it probably retreated underground. In doing so, it would have formed sub-surface pools of water. As I reported in Space update special: the lake on Mars in July 2018, Europe’s Mars Express detected evidence of a large liquid water lake close to the Martian South Pole. Now a new study of data and images gathered by that mission reveals a planet-wide system of ancient groundwater pools, some of which were once interconnected – with five of them appearing to contain minerals crucial to life. The study focused on images and data gathered on 24 deep, enclosed craters in the northern hemisphere of Mars. Each crater has a floor lying roughly 4,000m (13,000 ft) below Martian “sea level” (given there is no water on the surface of Mars, this is an arbitrary elevation based on a combination of the planet’s mean elevation and surface air pressure). 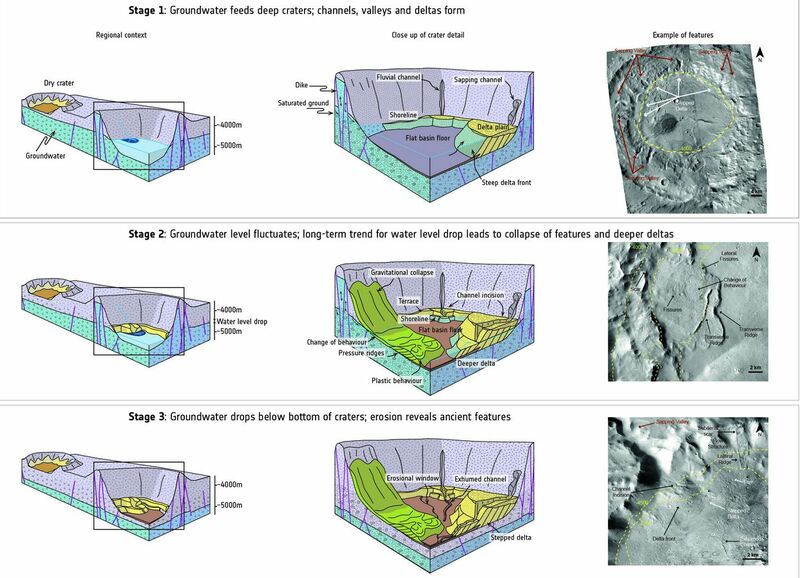 All 24 craters were found to have features that could only have formed in the presence of liquid water, and many contain multiple features as depths between 4,000 to 4,500m (13,000 to 14,625 ft) that indicate they once contained pools and flows of water that changed and receded over time. These features include channels etched into crater walls, valleys carved out by sapping groundwater, dark, curved deltas thought to have formed as water levels rose and fell, ridged terraces within crater walls formed by standing water, and fan-shaped deposits of sediment associated with flowing water. Most interestingly, the apparent water levels in the craters aligns with the proposed shorelines of a supposed ocean thought to have existed on Mars 3-4 billion years ago, and it is thought this ocean may have once connected to these sub-surface features, allow water to retreat to them as conditions on Mars changed as it lost its denser atmosphere. The data also reveal that five of the craters contain various clays, carbonates and silicates which are all associated with life arising here on Earth. This, together with the fact the basins are deep enough to intersect with the water saturated part of Mars’ crust for long periods of time, lends weight to the idea the craters may once have had the ingredients to host life. Findings like this are hugely important; they help us to identify the regions of Mars that are the most promising for finding signs of past life.I t is especially exciting that a mission that has been so fruitful at the Red Planet, Mars Express, is now instrumental in helping future missions such as ExoMars [the upcoming European rover, due for launch in 2020] explore the planet in a different way. It’s a great example of missions working together with great success. – Dmitri Titov, ESA’s Mars Express project scientist. 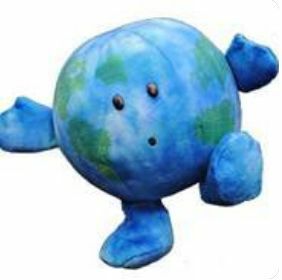 The ‘Earth Plushy’ is cute. I bet if they made more and sold them they could recoup some costs towards the space program. I am so glad I’m not the only one who follow’s SpaceX news! I’d say Elon Musk for President, but why would we want to distract him?